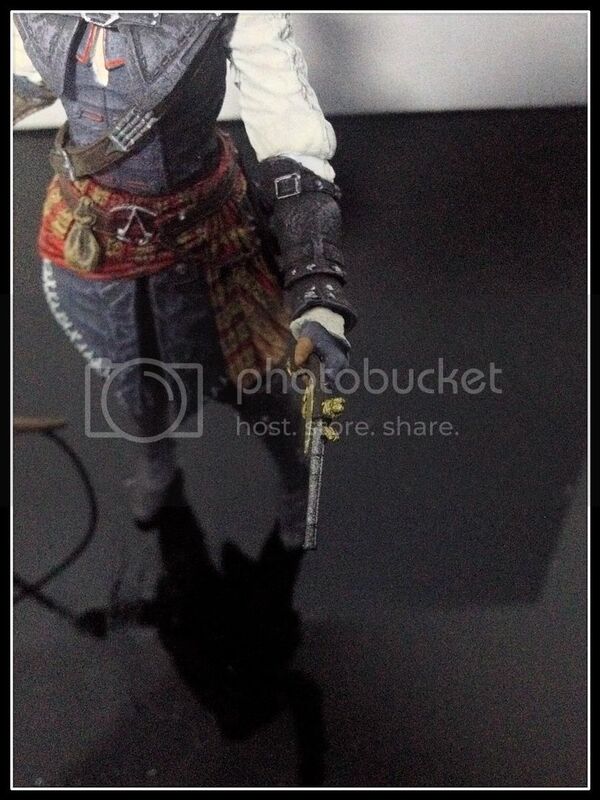 Here's some pics of the Series 2 figures that I got recently. 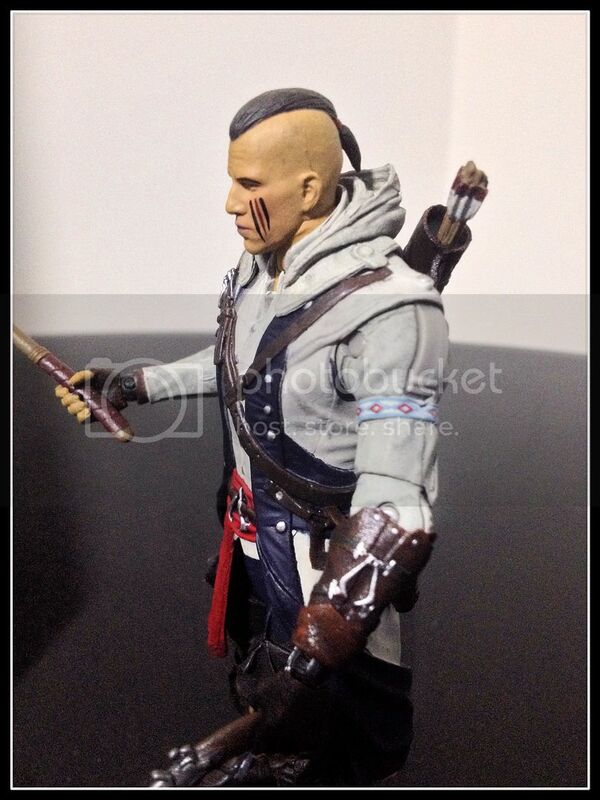 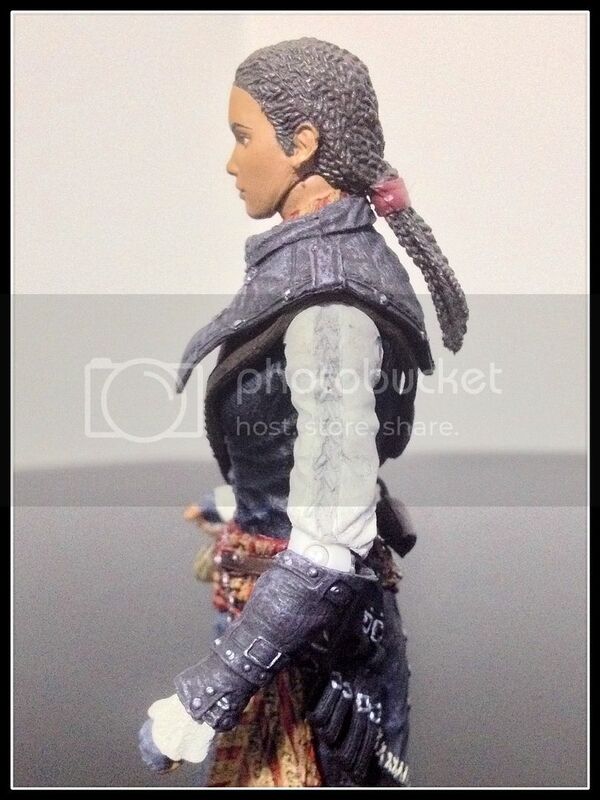 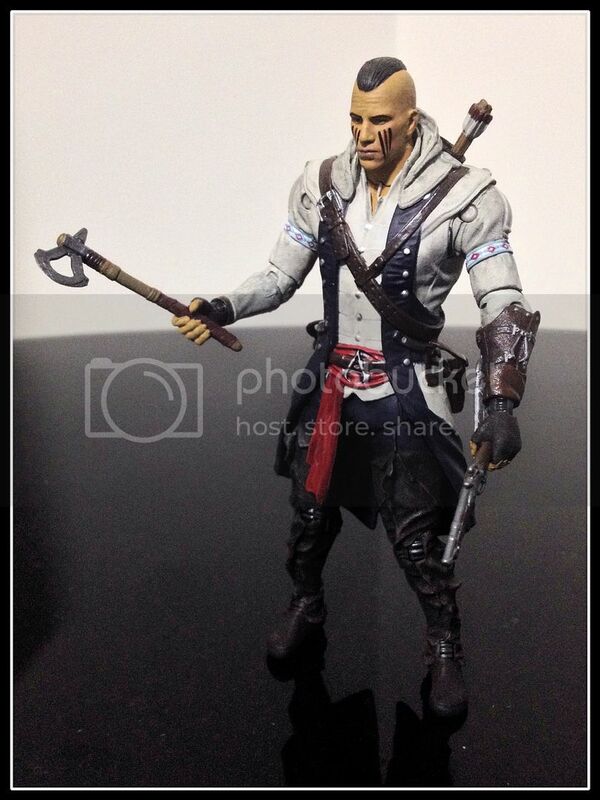 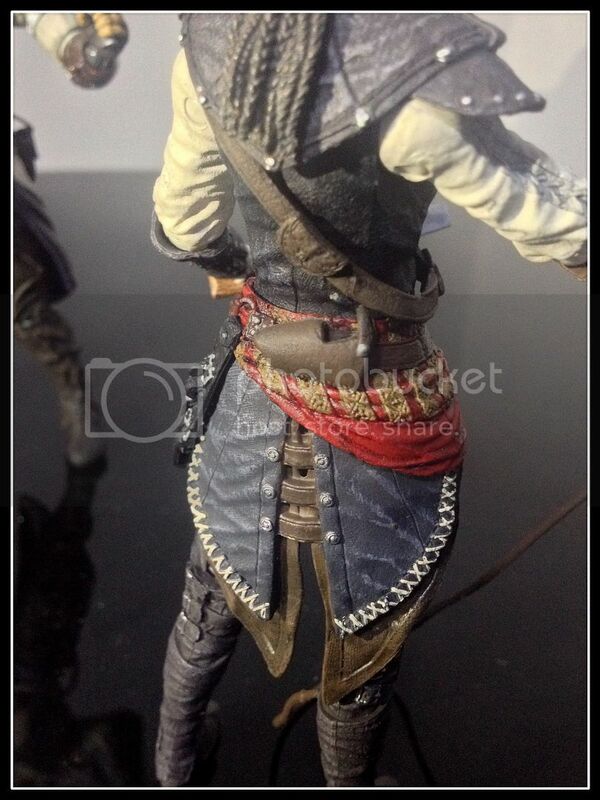 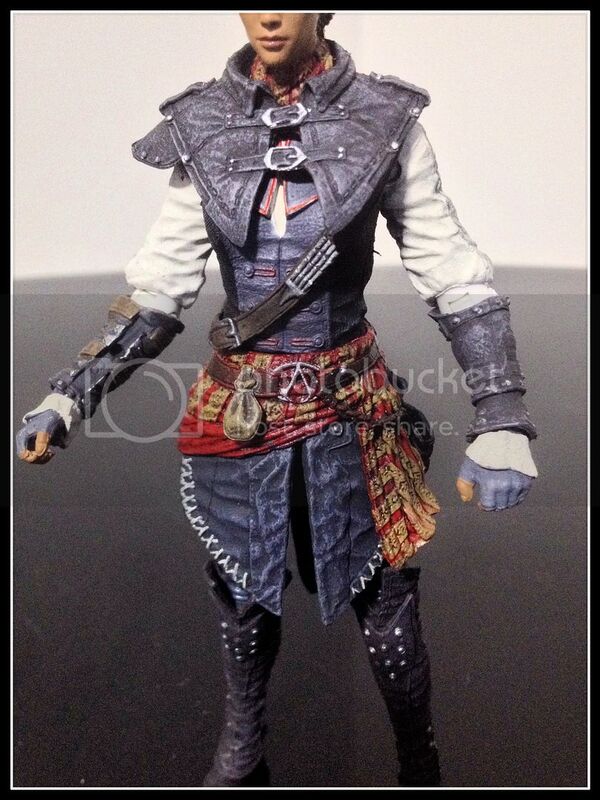 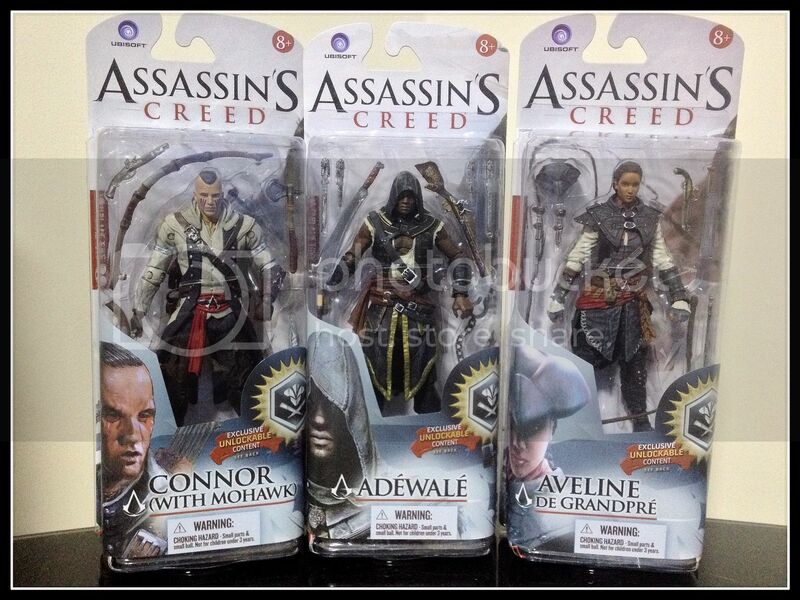 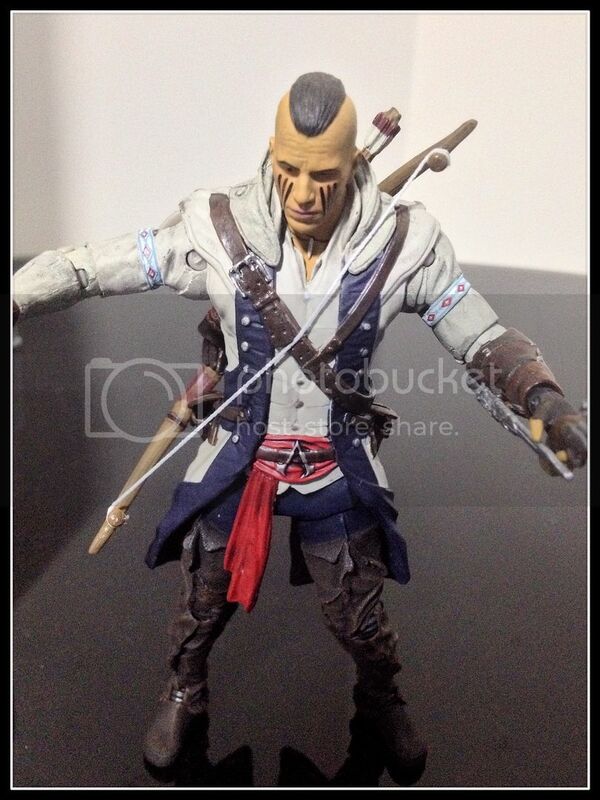 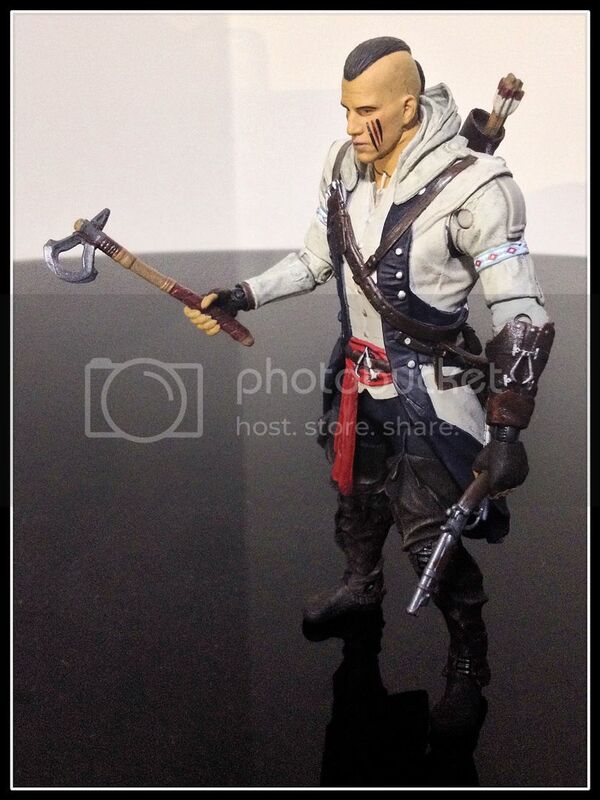 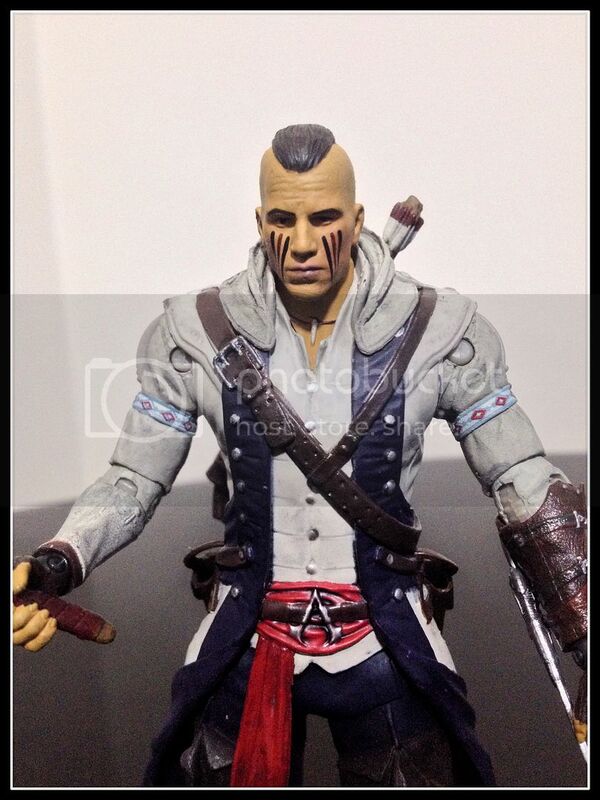 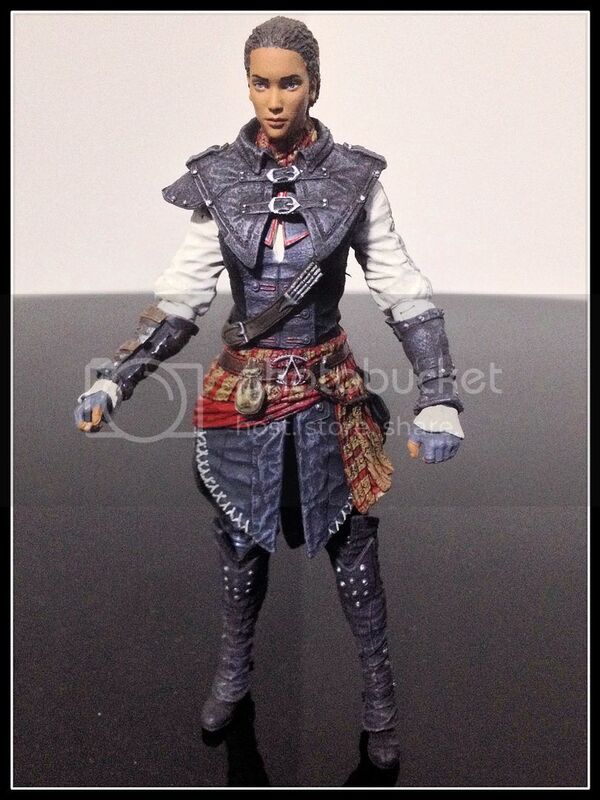 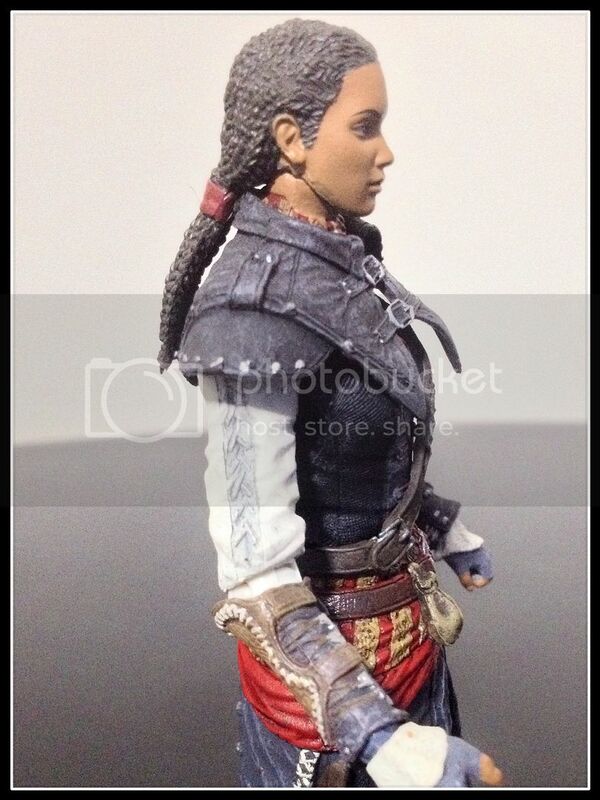 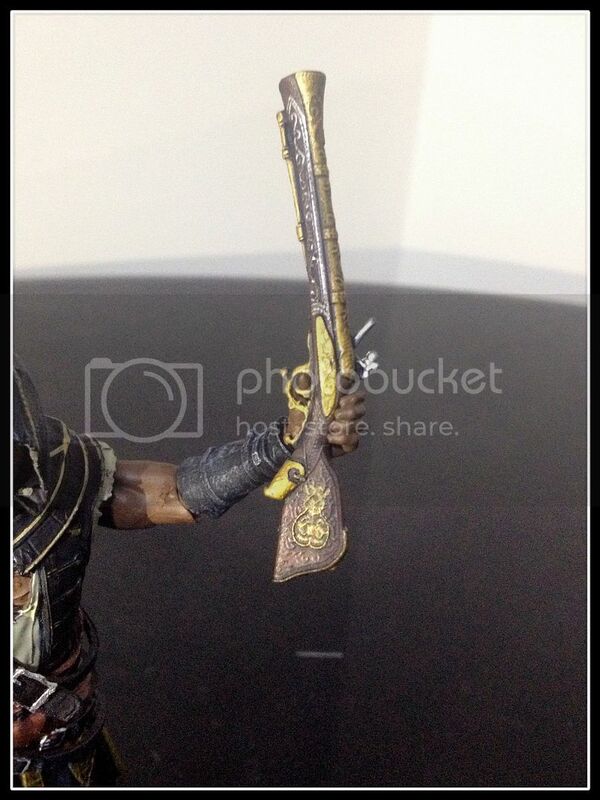 Just 3 figures in this series; Adewale, Aveline & Connor in a Mohawk variant. 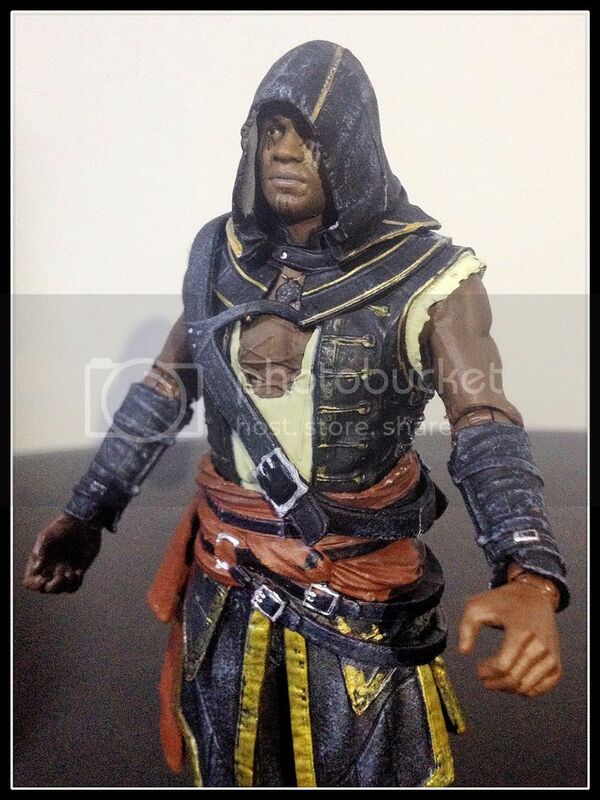 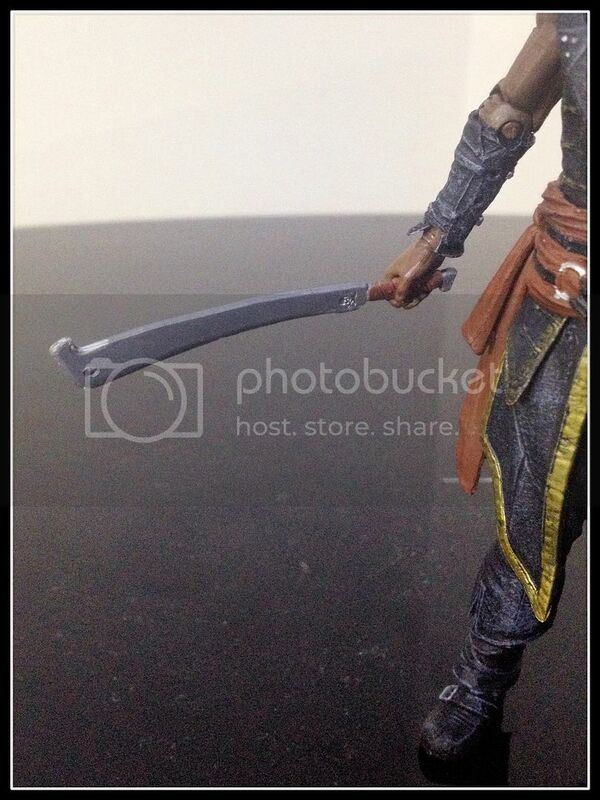 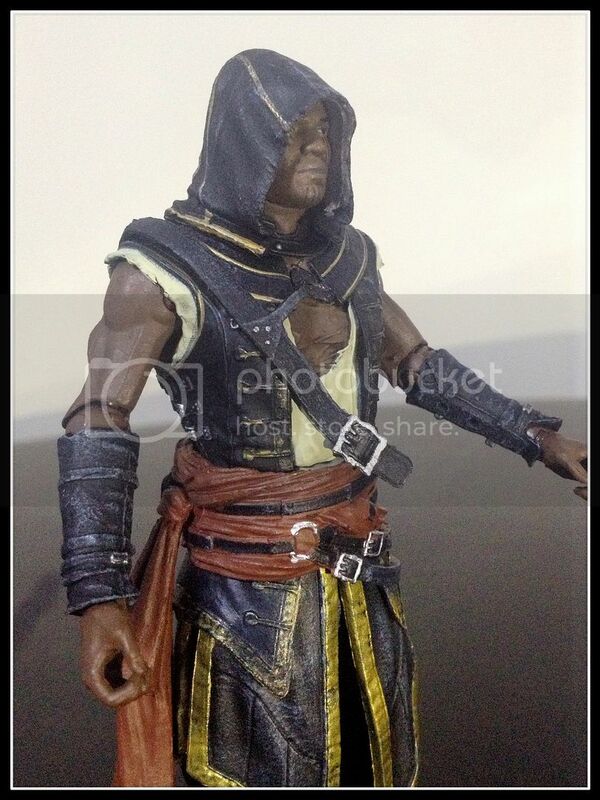 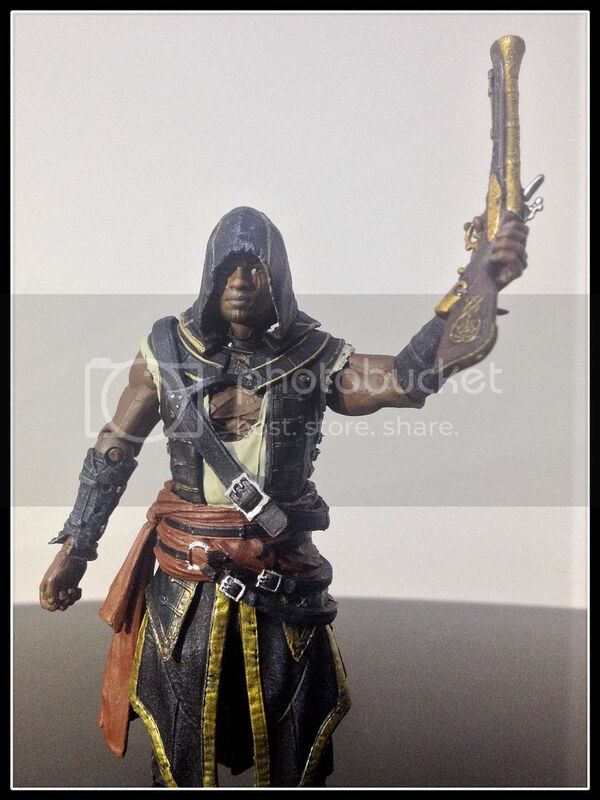 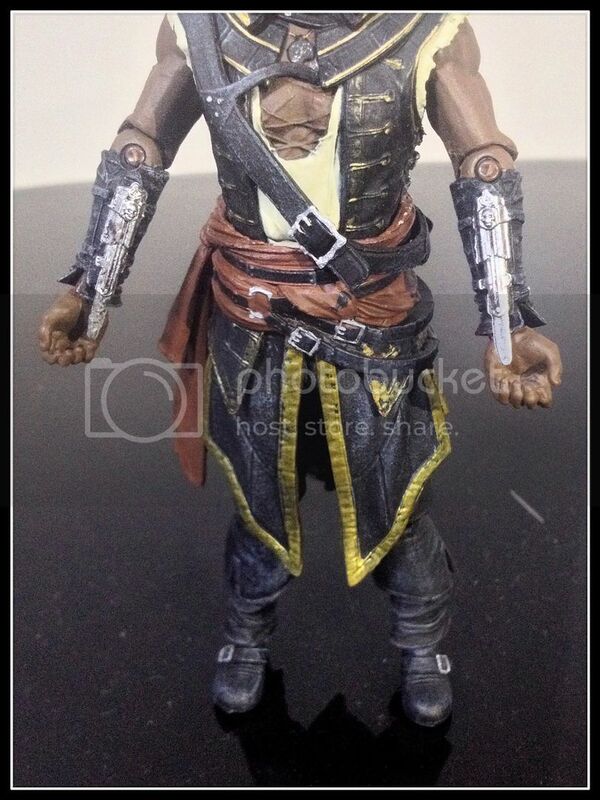 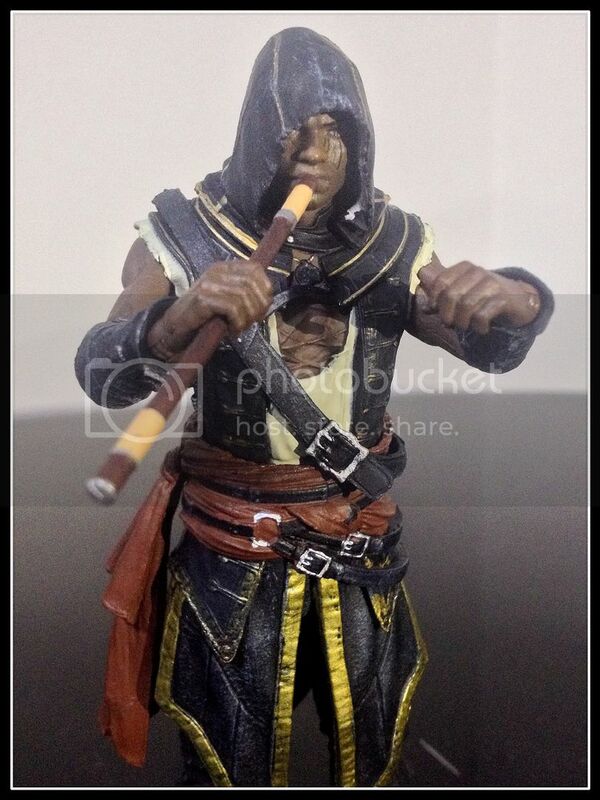 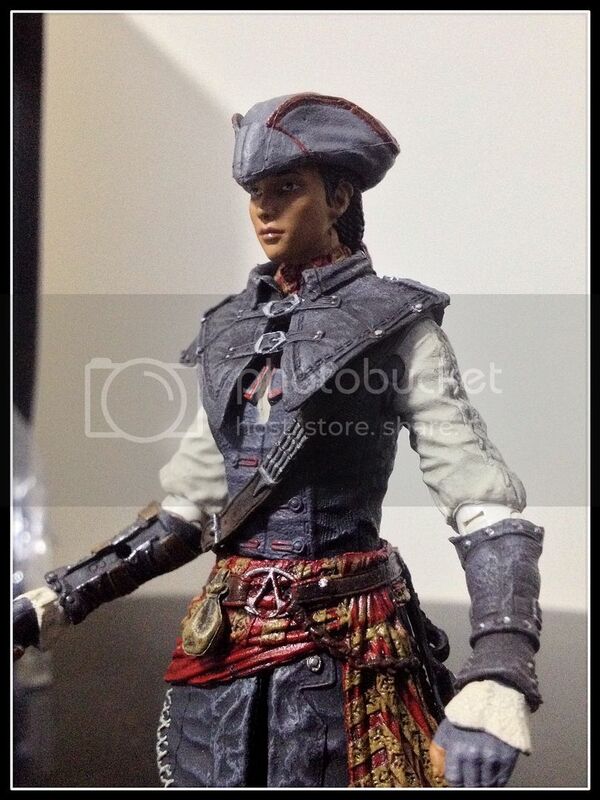 It's so great to see McFarlane coming out with the much-anticipated Aveline and Adewale figures. 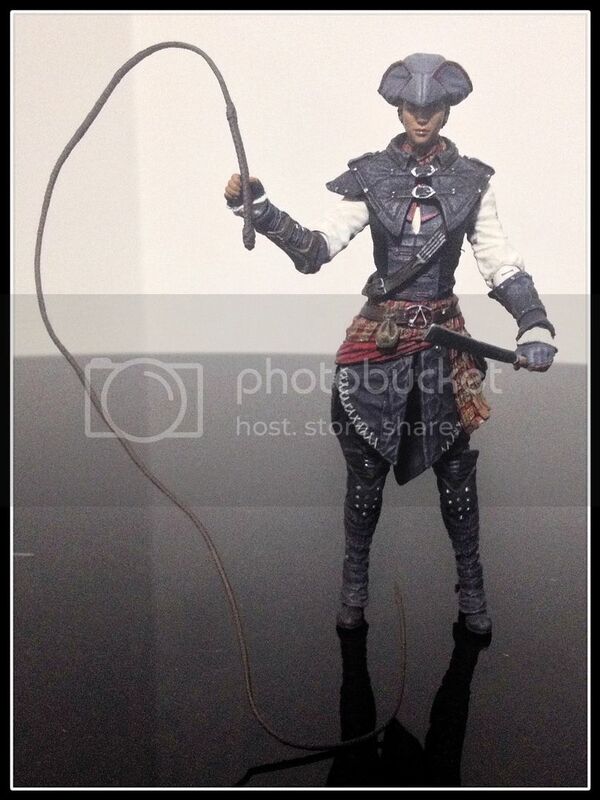 Let's take a look at how they turned out..
and lastly, my personal favourite the Whip! 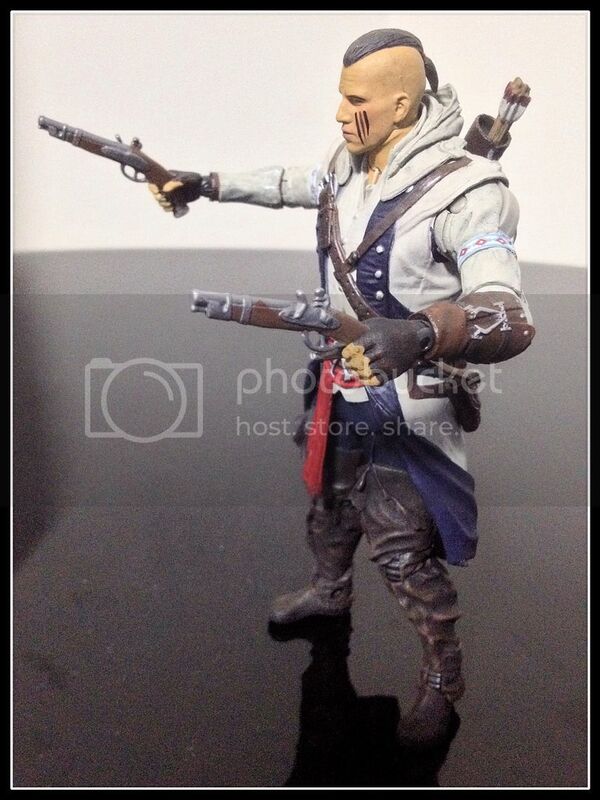 Not that I have any kind of fetish or anything like that.. it's just that it's very different from the usual pistols and swords that most of the other Assassin figures come with. 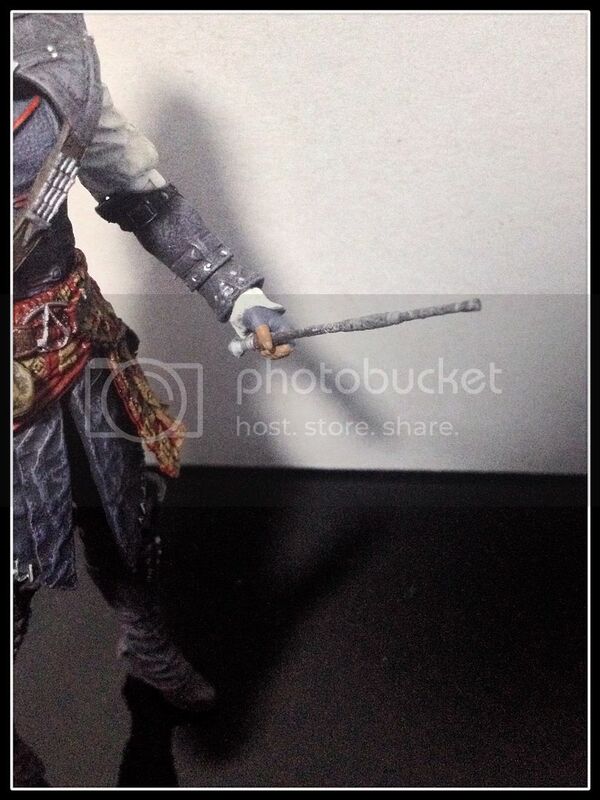 Tried to pose him to look like he's blowing a dart from his blowpipe. 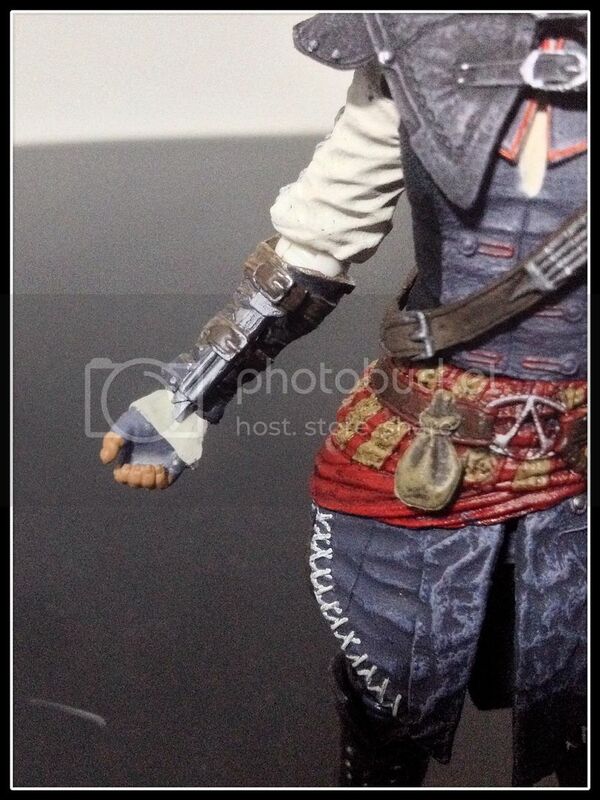 Oh man.. 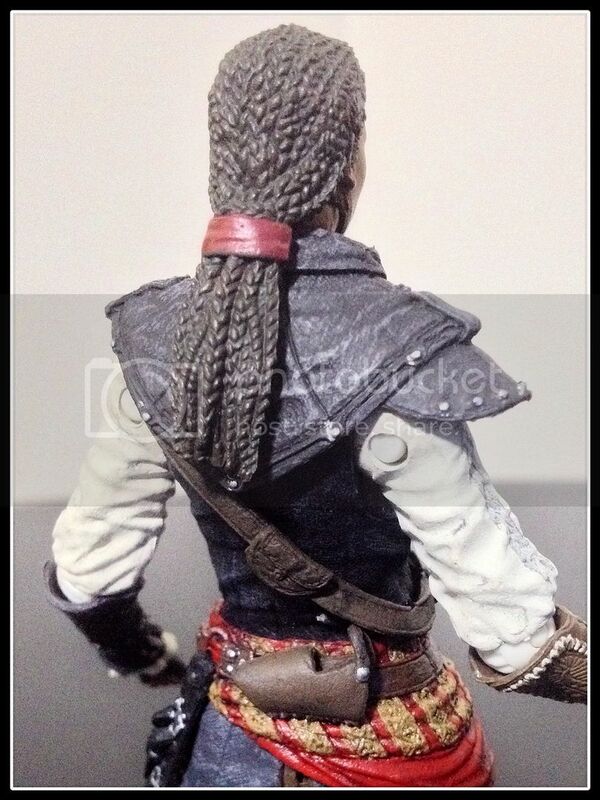 I'm quite surprised that this didn't spur any controvery, even though I felt that it was an appropriate accessory to include with the Adewale figure. 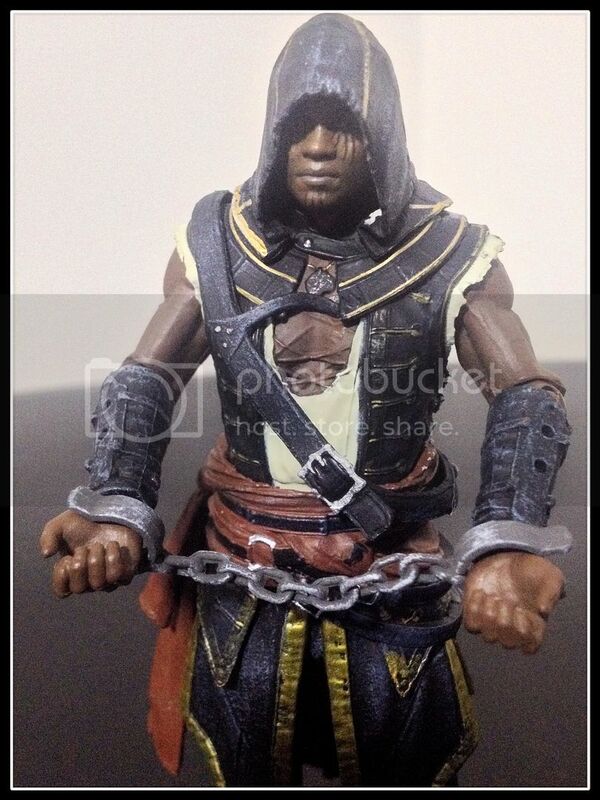 However, he's an Assassin so not going to use this accessory as my display. 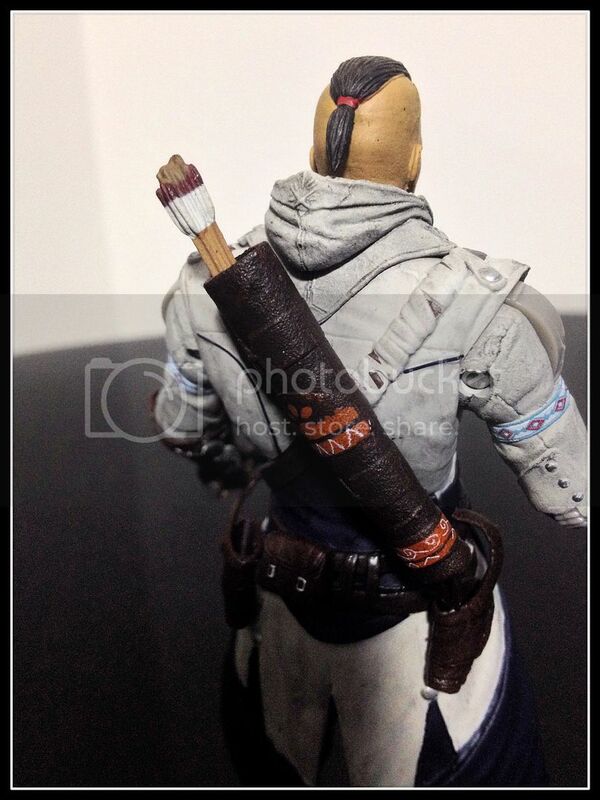 I can't wait to play the Freedom Cry DLC just for this weapon! 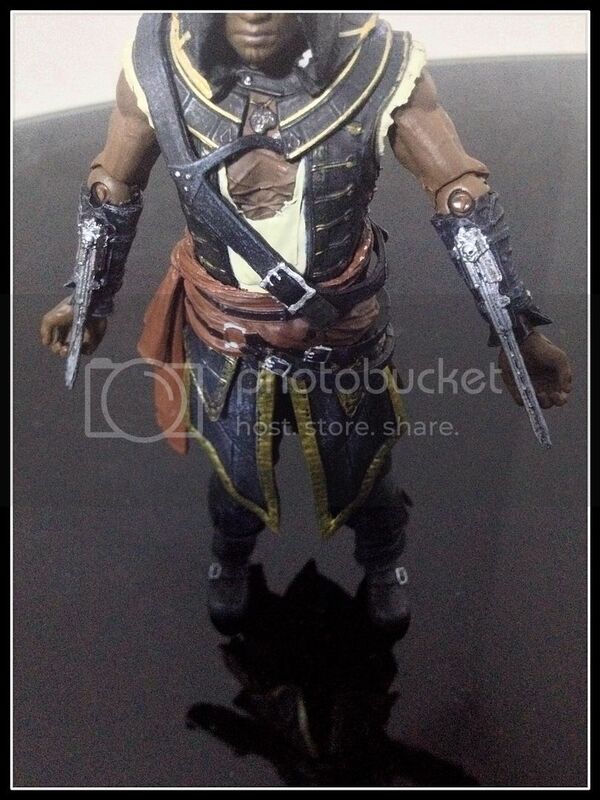 Awesome guy from the AC IV trailers, this big guy was all about power. 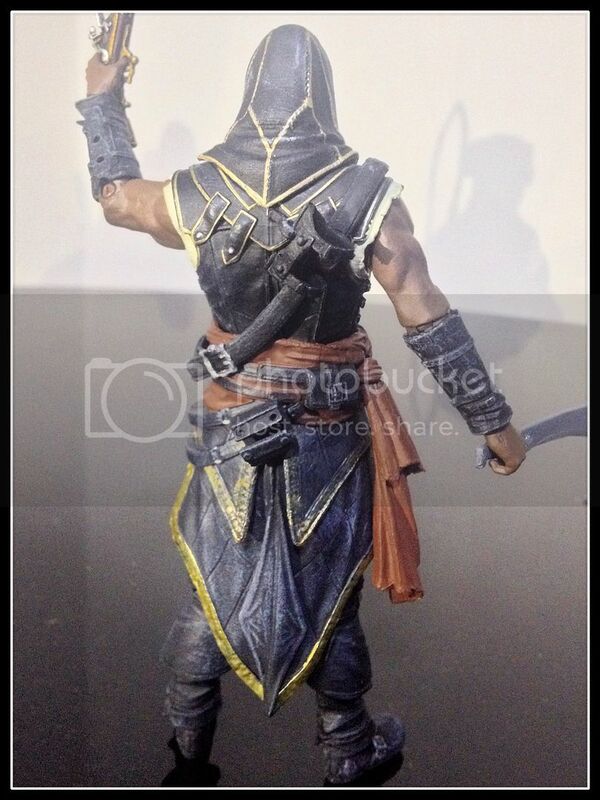 Haven't had the chance to play the DLC which he stars in, but was looking forward to the figure. 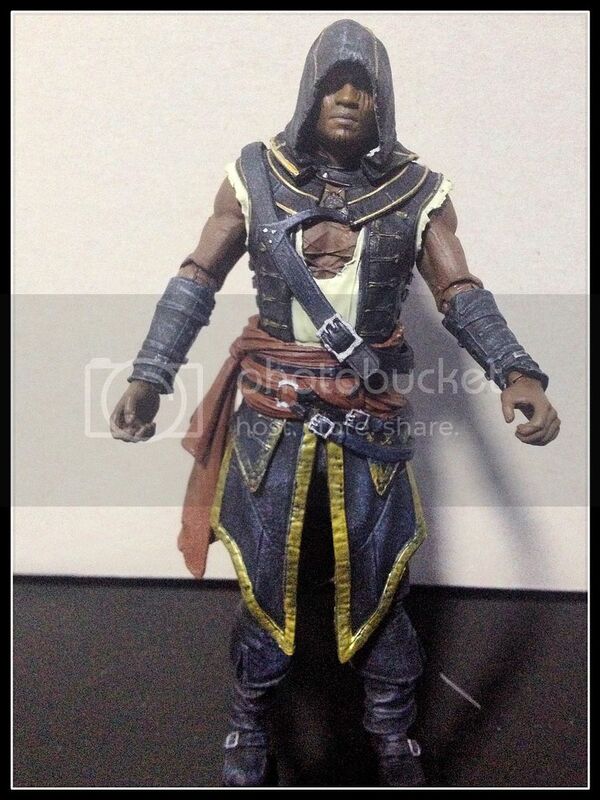 I'm a little disappointed with the face though.. 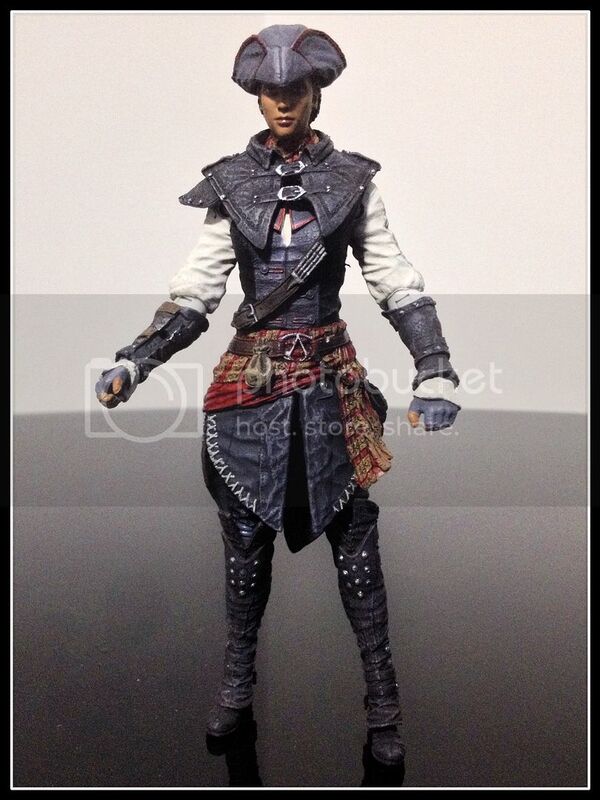 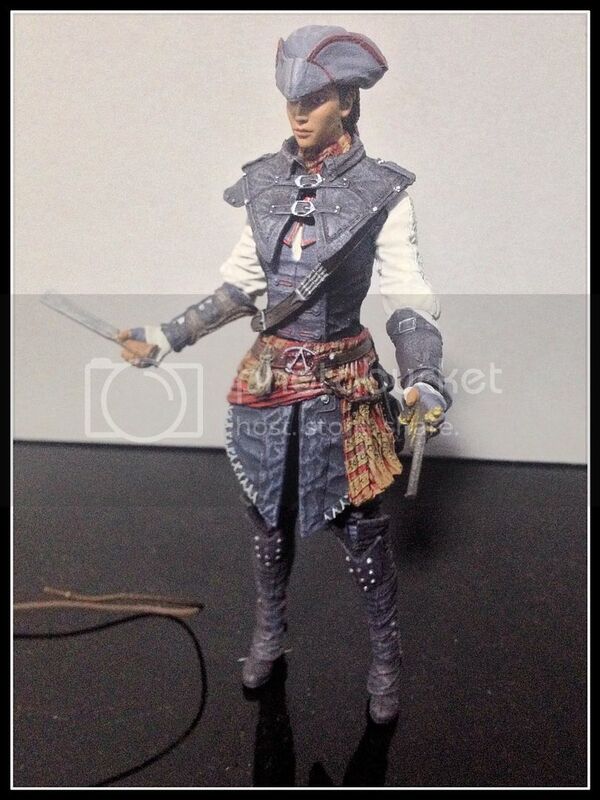 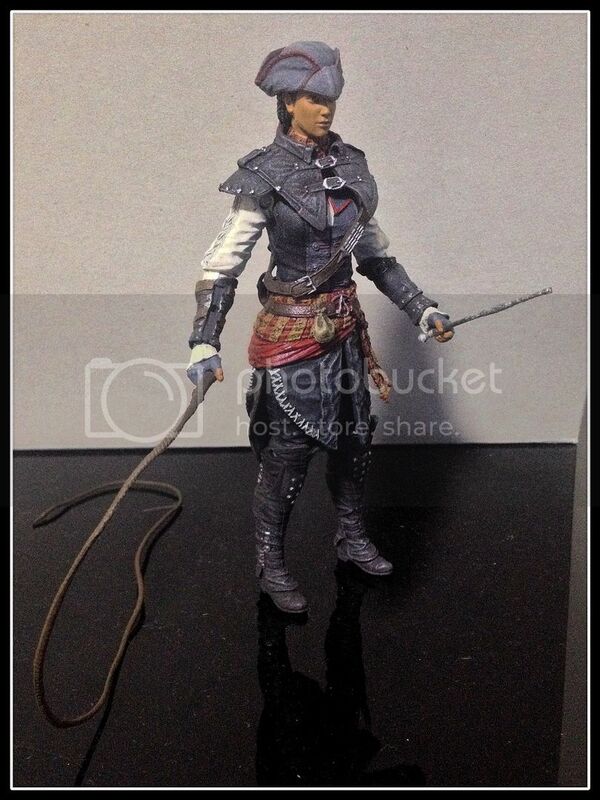 Doesn't look as accurate as Aveline is.. but overall still a cool figure. 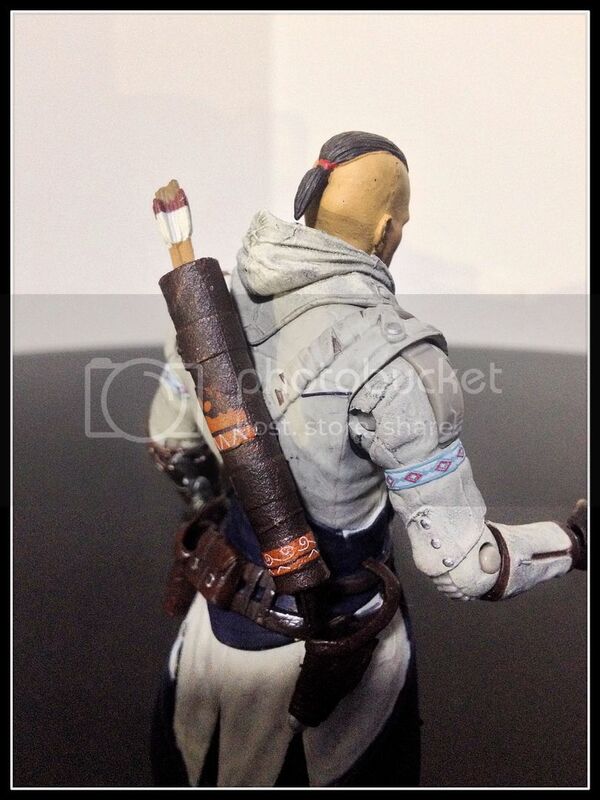 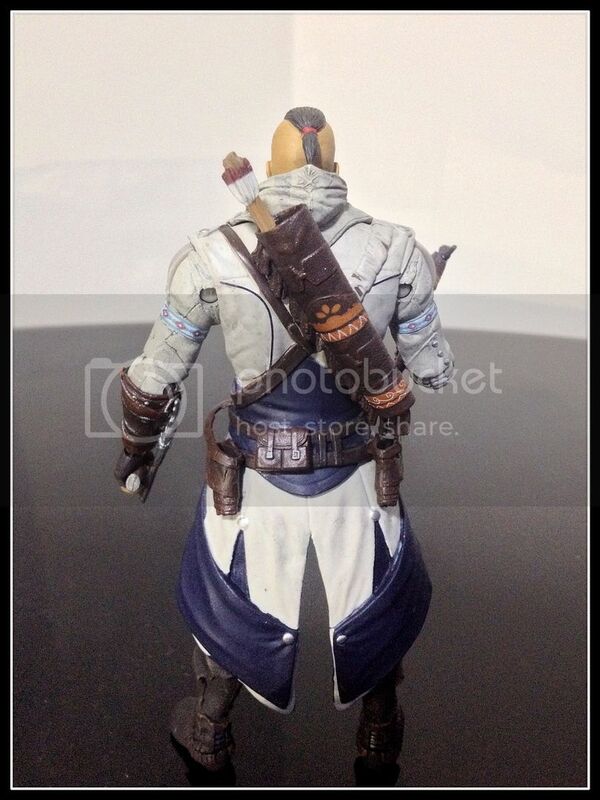 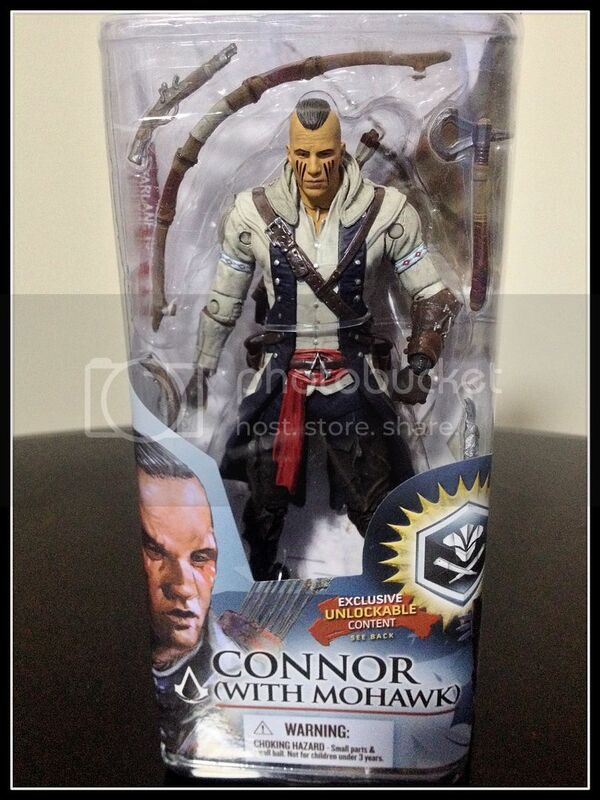 McFarlane seems to love Connor, as this happens to be the 4th figure of Connor. 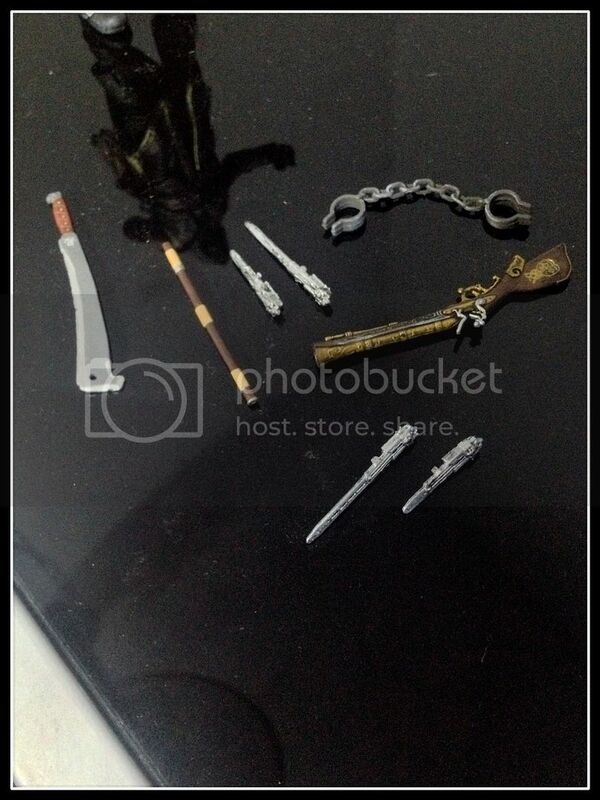 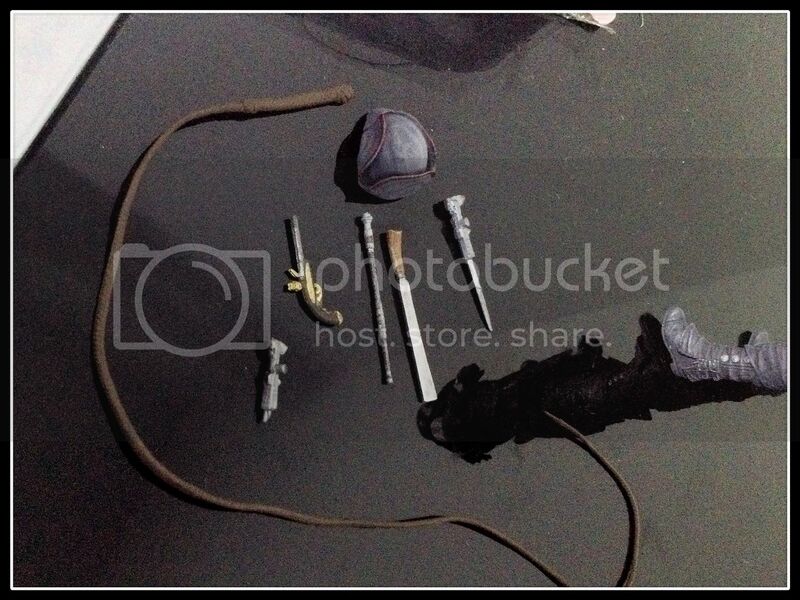 Accessories are all the same as the previously released versions. 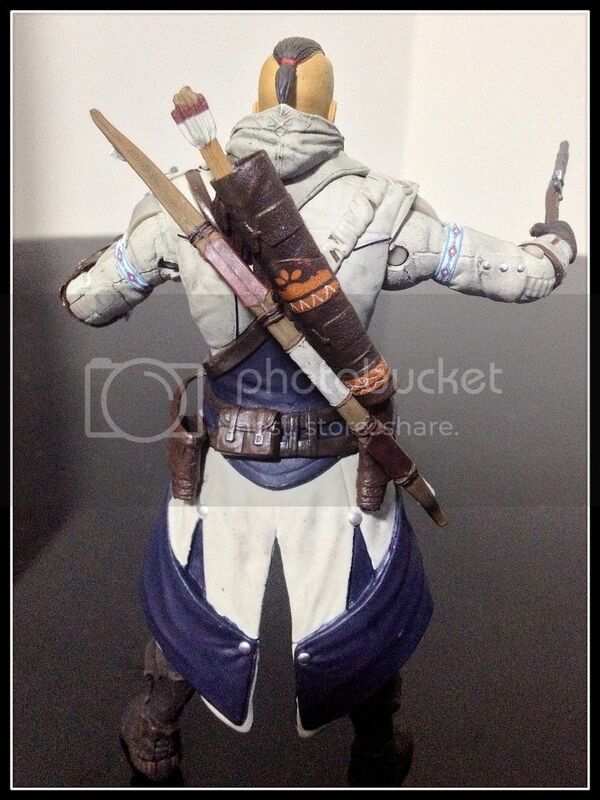 You could say that this is the unhooded version so if you prefer this look, this is the perfect figure for you. 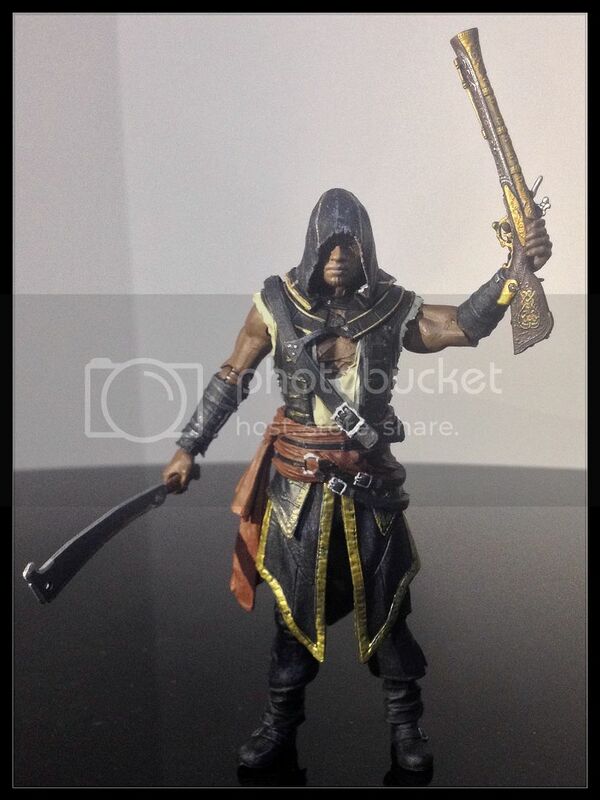 Nice additions to the line. 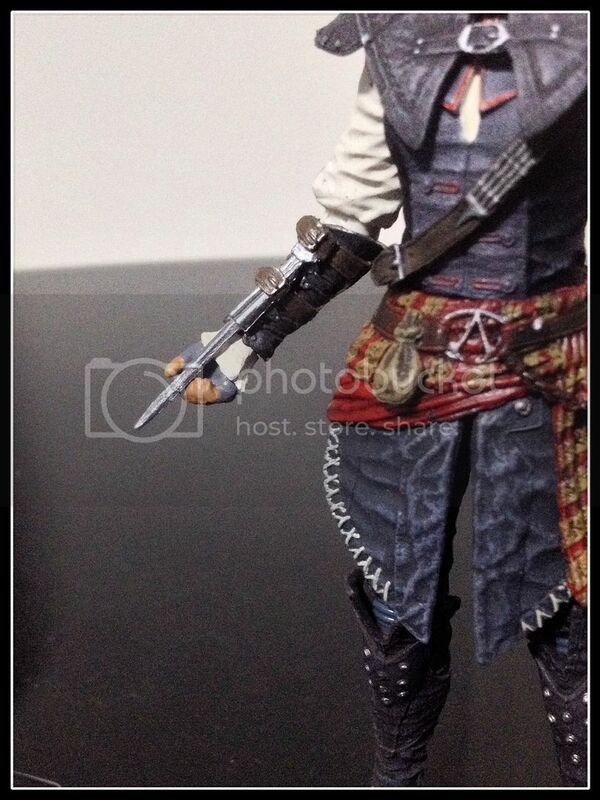 A mix of 2 'minor' Assassins which not many companies want to do & a cool variant of a popular Assassin. 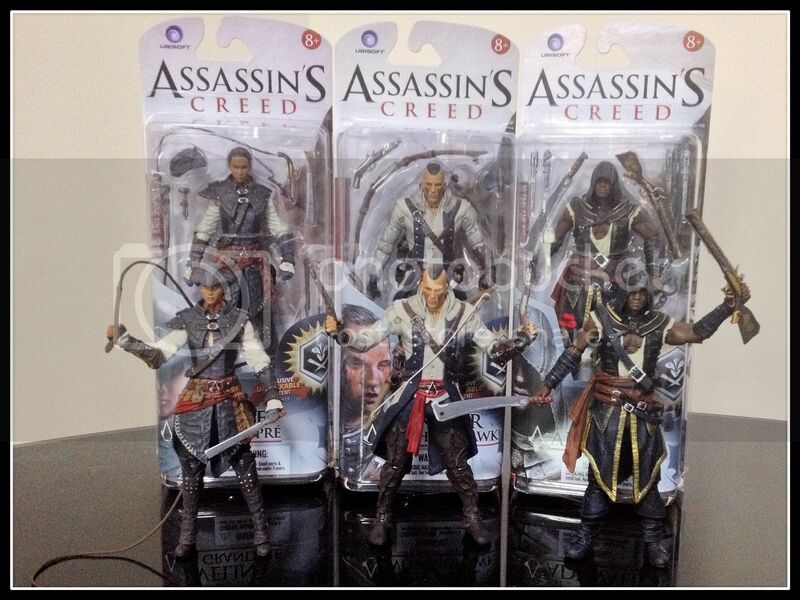 Expands the collection very nicely. 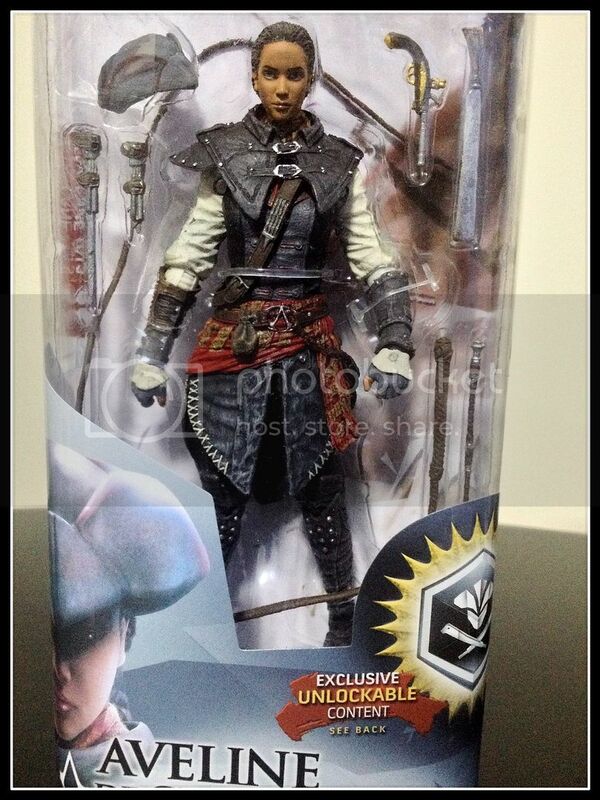 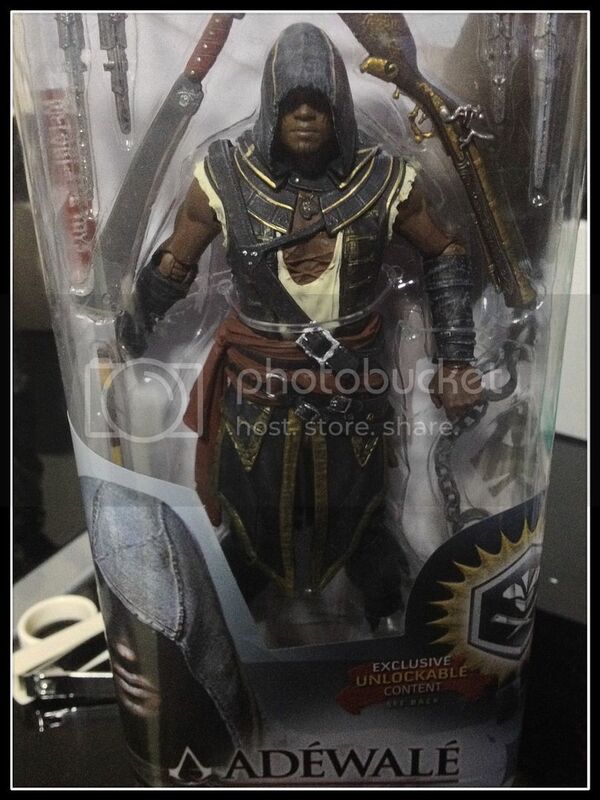 UbiCollectibles may have the most popular AC figures because of their figures in the various Collector's Editions, PlayArts may have super detail on their bulky action figures but at the moment, McFarlane have the most complete Assassin collection. 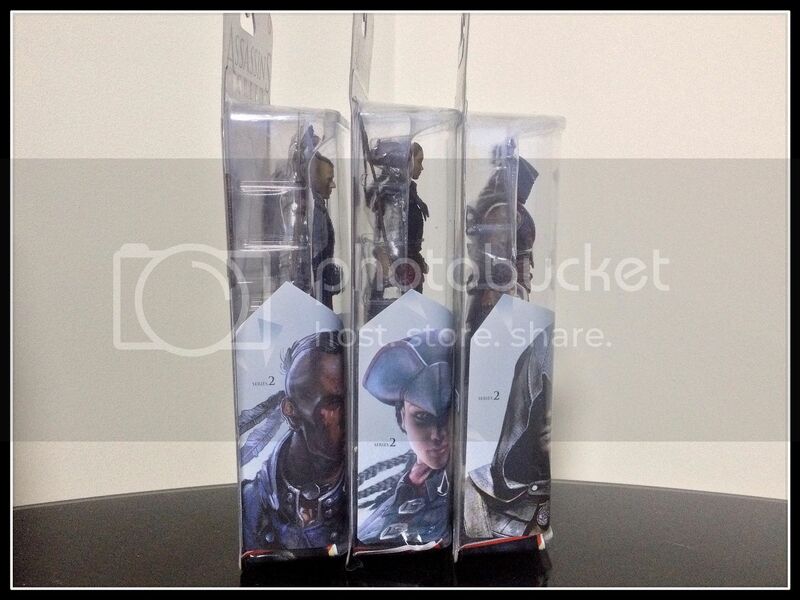 Just had to get another sealed set! 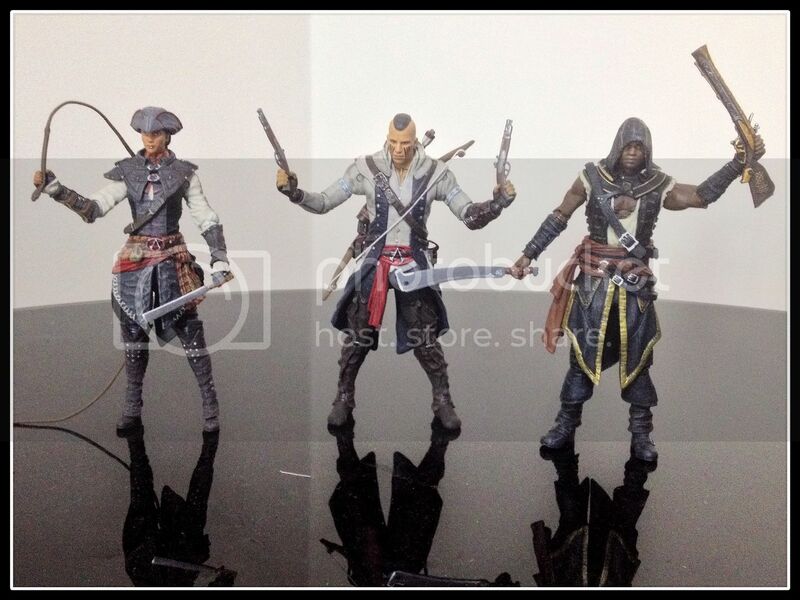 This is the line to go for if you're a huge Assassin's Creed fan but don't have the cash for the bigger figures!